Our CSS tests caught a minor incompatibility between Chrome Mobile and our other devices. 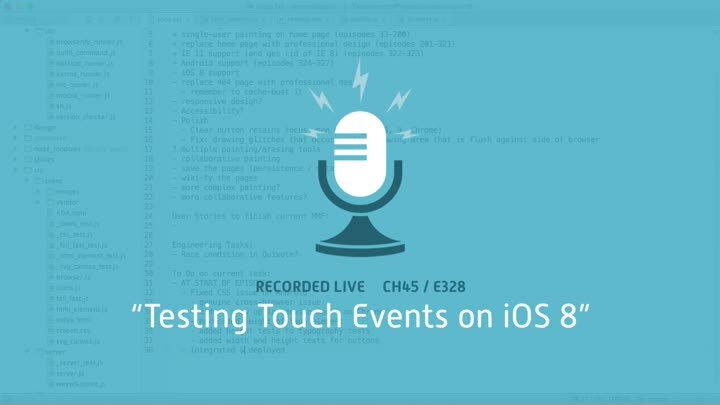 We walk through the fix, then figure out what’s causing our touch tests to fail on iOS 8. When that’s fixed, the chapter is done. Ship it!